On a lovely Sunday morning 18th September 2011, a group of like minded supporters of We Support The Green Corridor, assembled in front of blk 41 Teban Gardens Road, geared up and ready to trek the Old Jurong Line from Teban Gardens to Sunset Way, organised by Eugene from We Support The Green Corridor, with guides Kum Seng, Kwok Peng & Chee Kien, leading this trek and there were lots of sharing on the bio-diversity, flora, fauna, history and heritage of the Old Jurong Line. This was my 2nd trek along this particular stretch, check out my 1st trekking adventure here! As we started walking along the defunct track from Teban Gardens, there were no more railway tracks, with only the evidence of the small valley on the sides of the ridge lines, that indicates where the tracks were passing through previously. The community farming along those tracks still remain strong and healthy and I hope that this will stay for as long as it can! 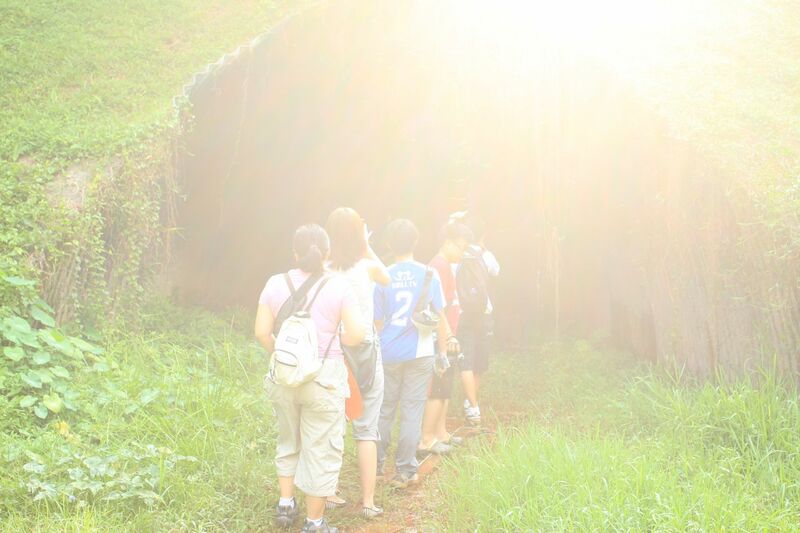 After walking through the tunnel, the group did not bash through the thick vegetation, whereby the old railway tracks continued towards Sunset Way. We hiked along the expressway and walked towards Sungei Ulu Pandan Park Connector, reaching the old metal railway bridge across the river. Along the expressway, we can see construction going on in the vegetation and it’s disappointing to see beautiful wildland destroyed for commercialisation. The old metal bridge was sealed up on both ends and I sincerely hope that it will be open back to the public soon, just like before,, to its original beauty, aura and heritage. Continuing towards Faber Heights, more evidence of the old railway tracks being removed and only bits and pieces of the Old Jurong Line remains today, the rusty metal plates, hooks, bolts and nuts, along with their thick wooden blocks. 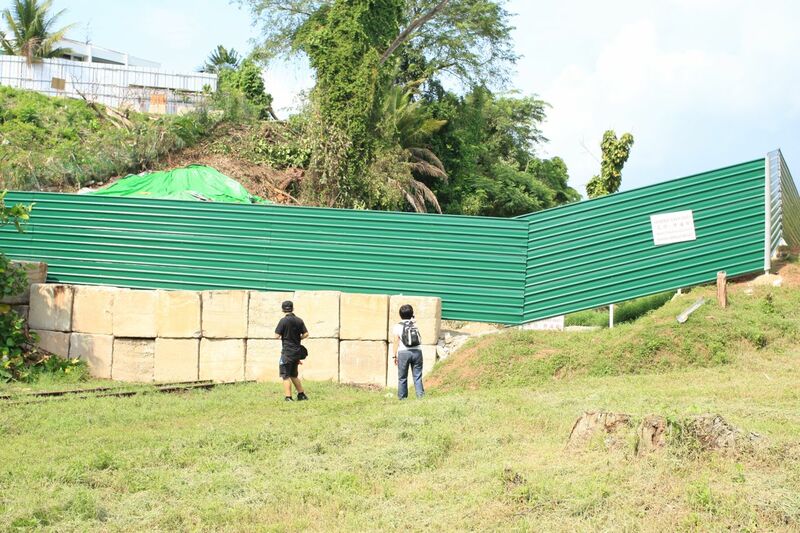 This stretch of the Old Jurong Line is being transformed into something else, building a new access road for the Faber Heights estate (Faber Walk) to Commonwealth Avenue West, in anticipation of the increase in traffic demand arising from new developments around the areas nearby. While we can still spot the old railway tracks hidden away in the lush greenery, we are blocked away by construction that is beginning to seal up the fate of the old railway tracks. 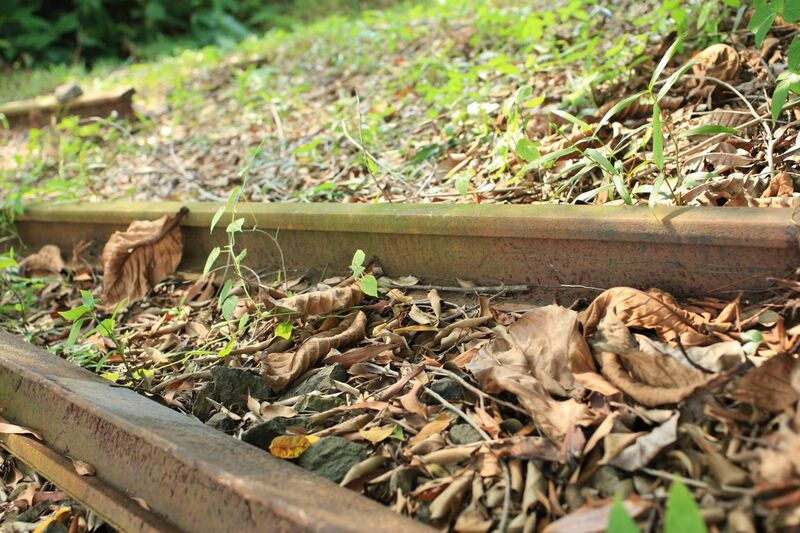 Begun the loss of the Old Jurong Line Railway Tracks it has ! It’s just like a knife slicing through the heart and soul of the greenery, history and heritage. Continuing our walk towards Clementi, whereby the beauty of the Old Railway tracks remained untouched in its original state, living hand in hand, in harmony with the community farming, temples and green space. 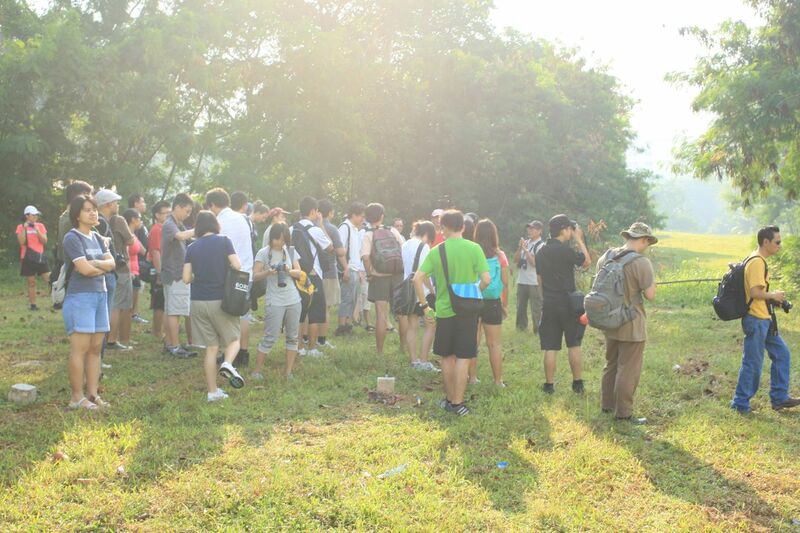 Due to the closure of the Sunset Way Railway Bridge, the group stopped their walk at the Clementi Avenue 4 and 6 woodlands area. Check out more photos here ! Do drop by my Green Corridor Collection on my Flickr! We call can make a difference to the history and heritage of Singapore. Let’s all come together to share our stories and thoughts, contribute our ideas and inspirations, to make Singapore a better home for our future generations!